This was quite an opportunistic photograph in two senses. 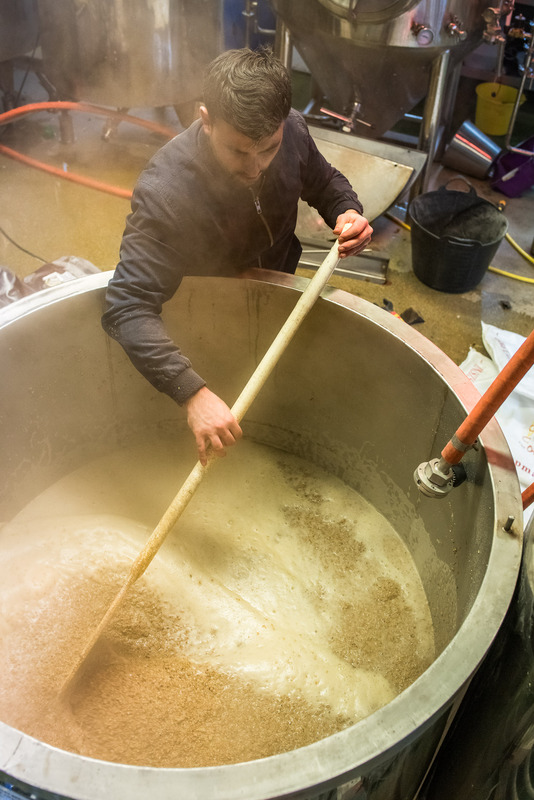 Firstly, I found out that the brewery was very characterful in that it didn’t just operate as a brewery and bar but also a brew school on certain days. I decided this would be a good opportunity to show another side to the brewery and I was glad I did as I felt I came away with portraying to the viewer another, more playful dimension to the brewery. One aspect of the brewery is that it is quite confined in space and so I was having difficulty acquiring many good shots of the relatively numerous amount of people attending the brew school that day. Eventually I went on a whim around to the other side of the main brewing equipment and perceived a potential opportunity for a photograph in between two of the canisters. 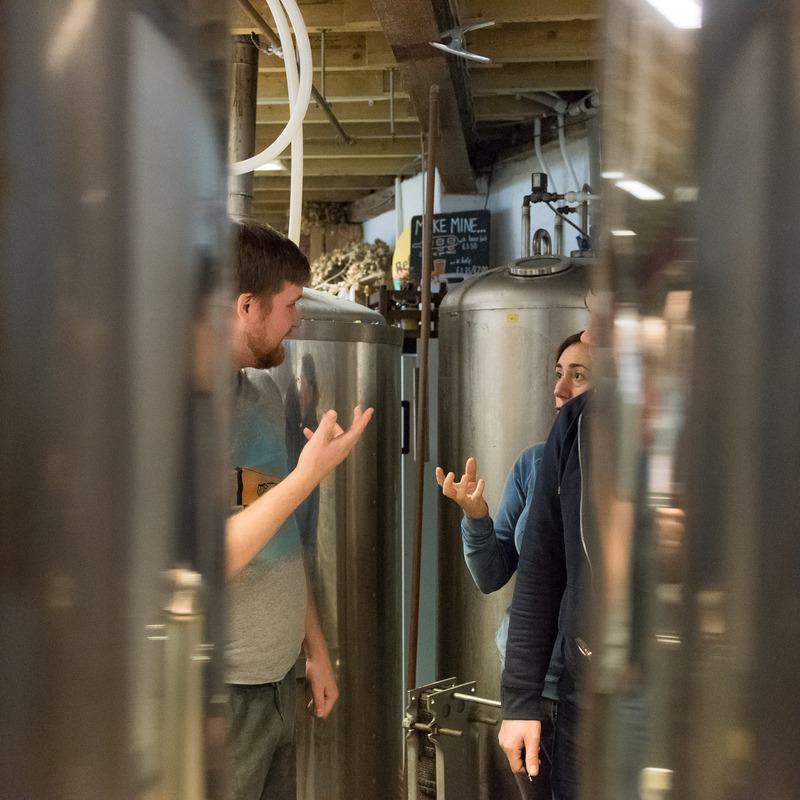 Not only was there a gap in between them showing people at the brew school but I was fortunate enough to find the brewer running the brew school deep in conversation with one of the brew school attendees. I thought this combination of features worked well, the canisters on either side and in the background showed it was a brewery while the two people in conversation could be seen to be talking about some aspect of the beer being brewed there. 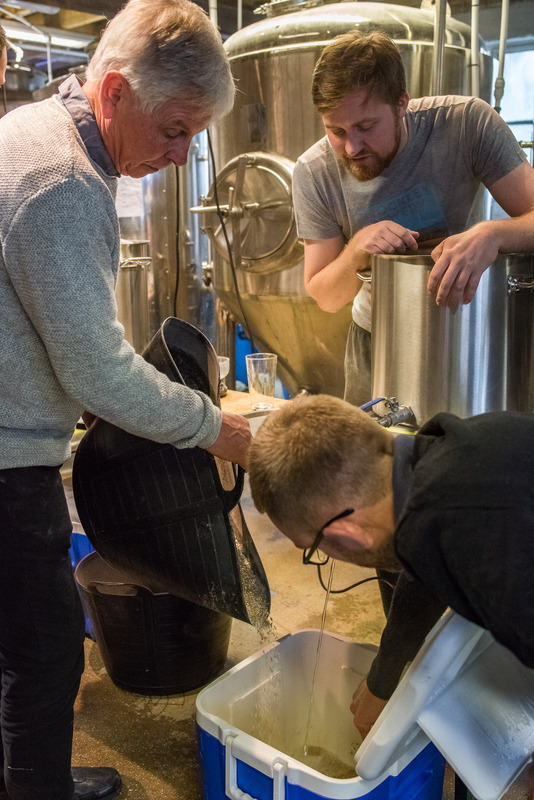 Although the information that the discussion was taking place at a brew school wasn’t absolutely clear in this photograph, for me the next photograph worked well as a continuation of this one. f/4, 1/200s, ISO 7200, focal length 35mm, handheld. I chose quite a loose title for this photograph mainly because I felt it was quite evident to the viewer what was happening in the brewery when seen in tandem with Photograph 4 (‘In Preparation for the Day Ahead’). This was one of my response strategies to the brief where it asked me to show my engagement with my local community and its people. By appearing in this fifth photograph while simultaneously taking ‘In Preparation for the Day Ahead’, I saw myself from the outside, on assignment, in the brewery. I used a self timer of ten seconds on one camera set on a tripod (for Photograph 5) and took Photograph 4 at as similar a time as possible in order to make the effect of seeing myself from the outside as obvious and literal as possible. While it was a constructed photograph in the sense that it hadn’t happened by accident, I tried to compose both scenes for each photograph to my liking and interpretation (keeping in mind that I had to make my way over to where I had visualised the other tripod should be within ten seconds). This would hopefully enable the viewer to recognise that both shots were mine when seen in the series as a whole. I felt this quite creative response to the brief was a good strategy to both show my engagement with the brewery and its people as well as showing off more of the interior of the brewery at the same time. One thing I would say was that both Photographs 4 and 5 were taken with tripods and this wasn’t consistent with the rest of the photo essay where I had shot handheld because I deemed it more conducive to getting ‘decisive moments’ with. f/4, 1/200s, ISO 2000, focal length 35mm, a tripod was used. 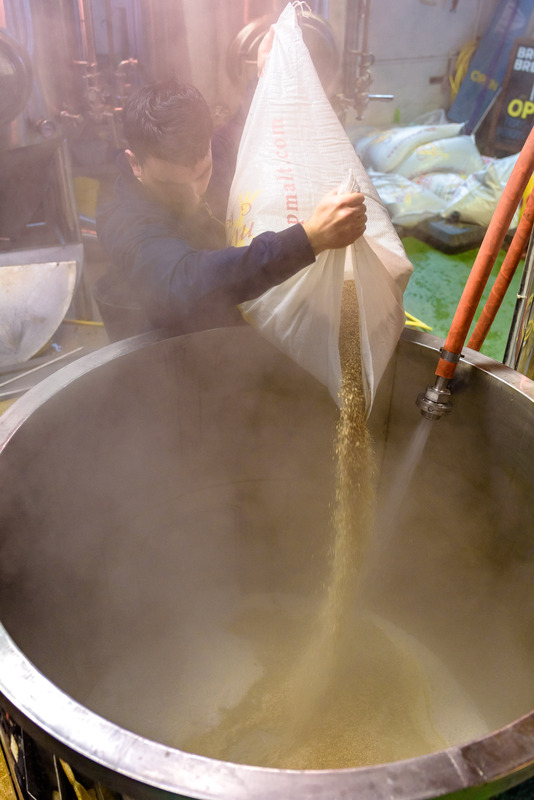 I would pair this image with Photograph 5 for this photo essay because they deliberately work together in giving information about the interior of the brewery while allowing myself to be more creative with the assignment. The first of this pair is ‘simply’ a document of one of the brewery workers preparing for the day ahead by stacking the shelves of the brewery with more ale. 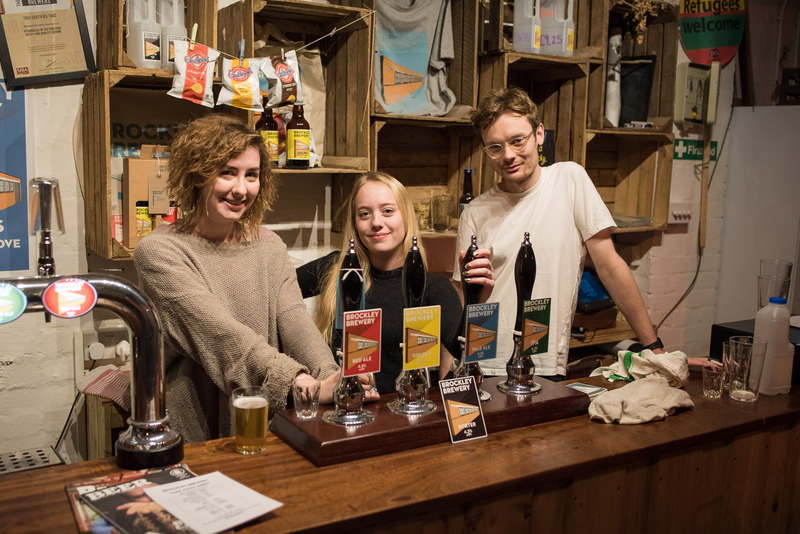 It gives information about the different kinds of beer on offer while providing the viewer with an idea of what preparing for a bar day at the brewery is like. The photograph in my opinion would work by itself in describing the type of product the brewery produces and who works there. 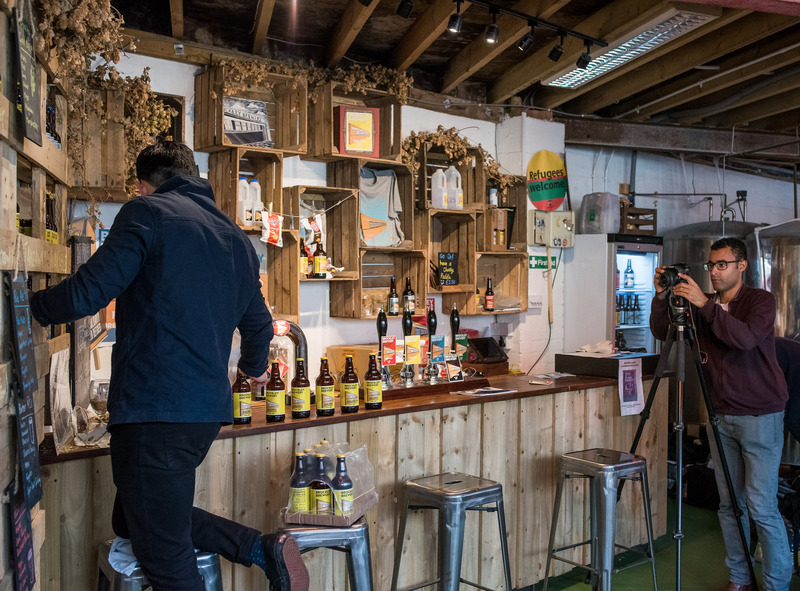 Admittedly, one of the subjects of the photograph, the brewery worker, wasn’t sharp because of subject movement and a relatively slow shutter speed but I found it added to the sense of action in the shot of him putting the bottles of beer away. 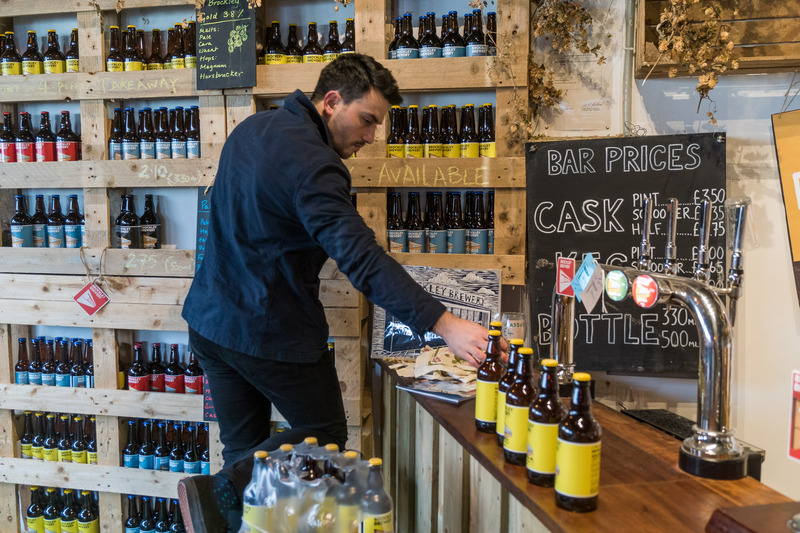 The clarity of the beer bottles on the shelves was good in my eyes, catching the eye and reminding the viewer they were a subject of the photograph and place. f/4, 1/25s, ISO 500, focal length 24mm on an APSC size sensor camera (so focal length: 35mm equivalent on a full frame size sensor camera), a tripod was used.